My store, Spanish Amiga Retail Store, LLC, sells Jesus socks for men, Jesus socks for women, Jesus hats, and Jesus ties. Also, Spanish Amiga Retail Store, LLC sells buttons. The 2-pack of buttons has the buttons (A)So Many Books[,] So Little time and (B)[Love] Books. The 4-pack of buttons has the buttons (A)I [Love] to Read, (B)I’m a Read-a-Saurus, (C)I’m Hooked on Books, and (D)Feliz Cumpleaños. People are always stopping me to read my buttons! People are always telling me that they love my buttons. People are always telling me that they love to ready also! Let’s talk about our love of books and reading! Stop by my store today! God gave me the Gift of Talking. I love to talk, especially to high school students and young adults ages 18-30 years old about their business plans for life! In addition, I look forward to using my Gift of Talking to be a talk show host and a book author. Future growth plans for my store include having a career fair and create 10,000 jobs. Furthermore, future growth plans for my store also include adding more variety to the merchandise selection, especially my own clothing line and accessory line. I am a fashion designer and a fashion model. My goal is to have a billion-dollar fashion show with all my favorite celebrities! DREAMS COME TRUE. I WILL BE A WITNESS! MY BUTTONS ARE GUARANTEED BY THE SUPPLIER. 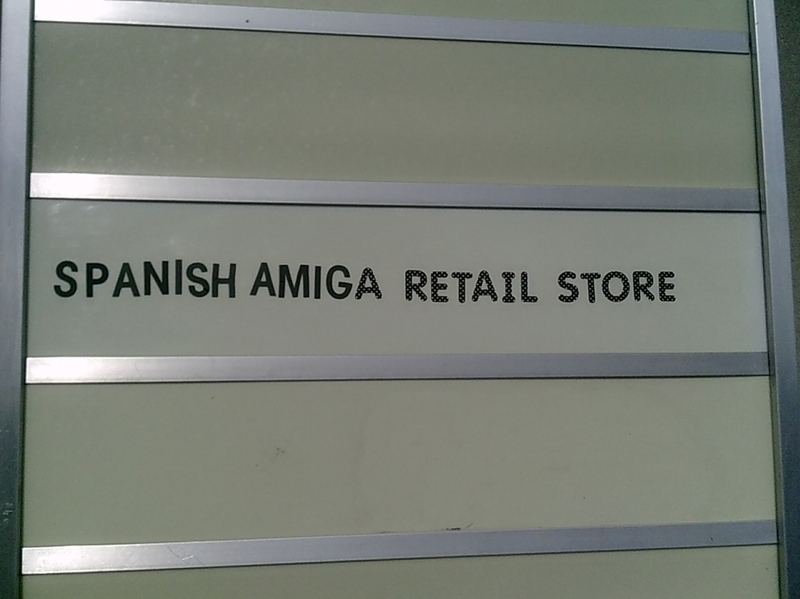 Walking into the Spanish Amiga Retail Store goes hand-in-hand with walking into the realization of Tamara Farmer’s dream. The walls of the Spanish Amiga are decorated in printed pictures of Boyz II Men, Jesus Christ, Trey Songz, Arsenio Hall, Prince William and Prince Henry, and the Obamas. Farmer sells socks, buttons and a variety of other items, each with special meaning to her she hopes to impart on her customers. There is not a single product she sells, book she owns, or scrap of paper in her store without a story. Even the clothes Farmer wears have a story. During the interview, Farmer wore the same outfit she wore on the Arsenio Hall Show, with one notable difference. Around her neck was a blue-and-red tie given to her personally by Arsenio Hall. Hall has been an icon for Farmer since she was a little girl, and it had been her dream to meet him. Now, after being on his show, Hall and Farmer occasionally exchange tweets. Justin Garcia is a freelance reporter with the Daily Lobo. He can be contacted at news@dailylobo.com or on Twitter @Just516garc.